. 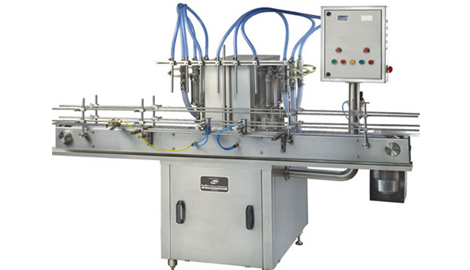 Linear Piston fillers are used for high accuracy volumetric filling of liquids.
. Capacity up to 100 containers per min.
. Filling Accuracy is plus minus 0.25% usually.